22 Feb 2018 --- Boosted by a growing body of scientific research, collagen peptides have risen in popularity over the past years. In fact, Innova Market Insights figures show that there was a +34 percent compound annual growth rate (CAGR) in new product launches for collagen peptides from 2010 to 2016. 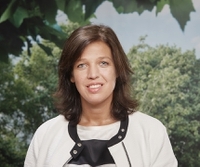 However, there is still ample room for further growth and research, according to Lisette van Lith, Global Director of Rousselot's Peptan, who spoke with NutritionInsight about her new role and regional inspiration for the usage of collagen peptides. Van Lith was appointed as global director of Rousselot’s Peptan brand in January. Van Lith has a background in the chemical industry, starting 15 years ago as an environmental engineer, and later growing towards marketing and strategy positions. She has held positions in innovation, market and business development and commercial management. In her various positions, she covered a wide range of products, which van Lith says is exactly her strength. “What I bring to the company is a different perspective on the collagen peptide sector, because it’s a relatively new industry for me. It’s more consumer-facing than my previous roles, much faster paced and it touches the health and wellness sector,” van Lith says. “The global functional and fortified foods market was valued at US$250 billion in 2017, and it’s still growing. Consumers are looking for products which functionally cover their nutritional needs in their daily diet,” van Lith notes. In van Lith’s view, the hydrolyzed collagen market especially has not yet reached maturity. Although the Japanese market is slightly more mature than other regions, there is still a lot of potential for growth globally. “The nice thing is that, for example, sports nutrition is very big in the US, and you see that coming now in the eastern part of the world. And vice versa: beauty products hailing from the East are now being introduced in the West. So there’s a nice balance, with a lot of room for growth,” she notes. Rousselot’s Peptan continues to develop in the key health areas of healthy aging, joint and bone health and skin/beauty from within and is also looking for new ways to deliver its products and new evidence for symptom relief, van Lith states. This month, the company announced the launch of two new products; StabiCaps, a gelatin solution for more stable soft gels, and Peptan IIm, a hydrolyzed collagen Type II matrix specifically developed for joint health. Both ingredients will be introduced during a two-day event (14-15 March) at Rousselot’s Expertise Centre in Ghent, Belgium, which will be open to visitors from outside the company’s customer base. Speaking on innovation within collagen peptide end-products, van Lith notes that there has been a lot of inspiration from Asian products, where there is a strong regional market for functional foods and beverages. Moving forward, more of these concepts will be “translated” to suit regional needs and habits, van Lith predicts, with convenience also playing a huge role, prompting the creation of on-the-go packs or formats that fit in handbags. One of the collagen’s strengths is its clean label credentials, van Lith notes, and this will help it thrive, despite the current trend toward veganism. “The clean label trend is well established and certainly not going away. For the next phase of clean label, we are likely to see more emphasis placed on the transparency aspects of the products, as this is also very important to consumers. Collagen peptides are derived from natural sources, with excellent digestibility and highly bioavailable, and without any additives or preservatives, making it an ingredient without E-number and an excellent option to use in the formulation of clean label products,” she concludes. Rousselot is the global leader of gelatin and collagen peptides. We work in partnership with our customers all over the world, delivering innovative and advanced ingredient solutions manufactured through state of the art operations. We help our customers achieve their goals, enabling them to create world class pharmaceutical, food and nutritional products to inspire and excite today’s demanding consumers. Rousselot’s range of products includes gelatin, hydrolyzed gelatin, a as well as gelatin solutions facilitating innovation. Peptan is the world’s leading collagen peptides brand, produced and marketed by Rousselot. Widely used in the production of food, gelatin offers manufacturers across all categories an unrivalled set of functionalities. Whatever your application – confectionery, dairy, desserts or meat – Rousselot has the proven expertise to meet your brief and exceed expectations. Continued research, proven safety in use and exciting new concepts have boosted its profile as a natural ingredient perfectly positioned to help manufacturers tap into current market trends. With its high protein content, ProTake is a hydrolyzed gelatin and the ideal natural ingredient to boost protein levels or to reformulate your product with less fat and/or sugar. Rousselot’s Synergy Systems enable the development of breakthrough candies. These include savory marshmallows, sweet marshmallows and heat-resistant gummies. Peptan collagen peptides are bioactive ingredients for the health and beauty markets. Thanks to its proven health benefits, Peptan is the active ingredient of choice for global manufacturers looking to create exciting functional foods, drinks and supplements for a demanding target audience. Sports nutrition: supports muscle regeneration, helps healthy joints stay flexible, protects connective tissues and can assist in weight loss or maintenance. Rousselot and Peptan are both brands of Darling Ingredients.